The Kamehameha Schools Song Contest is slated for Friday, March 15 at the Neal Blaisdell Center. The musical tradition goes back nearly a century to the first contest held on the steps of Bishop Museum. The 99th Annual Kamehameha Schools Song Contest will broadcast live March 15 on KFVE and will stream live on the Song Contest website. KFVE viewing: Spectrum subscribers may tune into channel 1022/22, Hawaiian Telcom subscribers may tune into channel 1013/13. The TV broadcast will also be available in ‘ōlelo Hawai‘i, via SAP. Streaming: Stream it online at www.ksbe.edu/songcontest. The webcast will be available for viewing through the month of March. Over 1,800 KS Kapālama high schoolers will celebrate their Hawaiian heritage through mele at Friday’s Kamehameha Schools Song Contest at Neal Blaisdell Center. The musical tradition goes back nearly a century to the first contest held on the steps of Bishop Museum. “Song Contest is more than just a competition,” said KSK Performing Arts Department Head Alika Young. 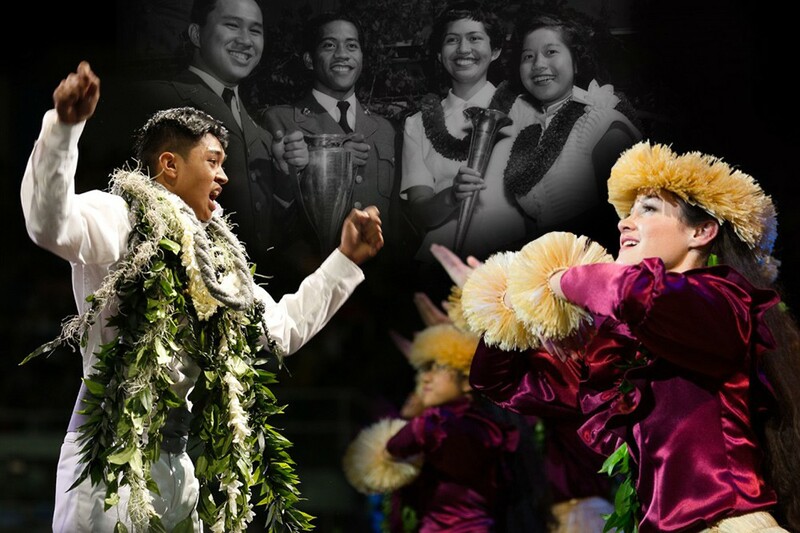 “The contest’s original objectives set by Music Director Laura Brown in the 1920s said that the goal of Song Contest is not only to build up students’ repertoire of Hawaiian music, but also to develop leadership, cooperation, and class spirit. This year’s competition will be broadcast live on KFVE and the Song Contest website starting with a pre-show at 6:30 p.m. followed by the live airing of the contest at 7:30 p.m. This year’s theme is “Na Mele ‘Ohana: The Musical Legacy of Vickie Ii Rodrigues,” celebrating the role mele plays in our everyday lives. The English television broadcast will be hosted by award-winning musician and KS Cultural Consultant Manu Boyd and Hawai‘i News Now anchor Mahealani Richardson. The Hawaiian language broadcast will be hosted by KS Kapālama ‘ōlelo Hawai‘i kumu Melelani Pang and Lilinoe Ka‘ahanui. Visit the Song Contest website for details. Kamehameha Schools Kapālama alumnus Chadd Paishon – captain of the Polynesian voyaging canoe Makali‘i – connects his cherished memories of Song Contest with the voyage of leadership he is on today. See this and other videos during Friday's broadcast.